Corridors of Power – Life moves pretty fast. “Corridors of Power,” a series of photographs by Swiss photographer Luca Zanier, is a striking look at important places entirely devoid of the important people who usually inhabit them. 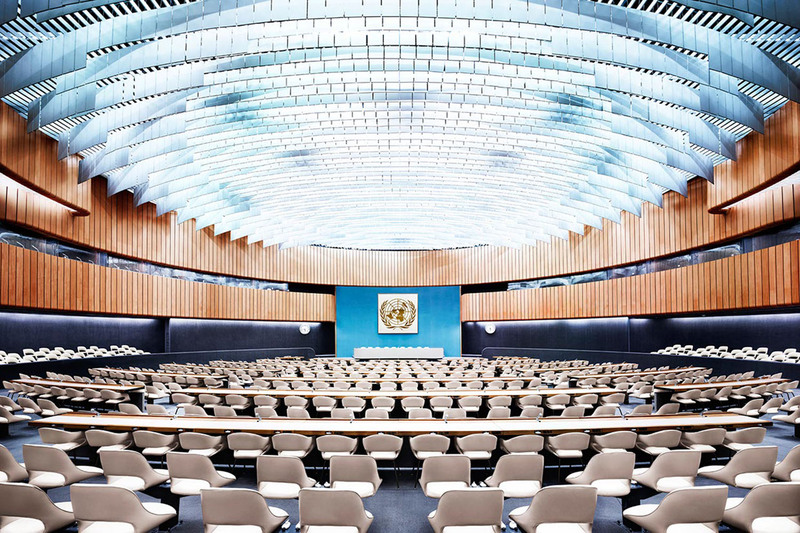 The tour takes us through board rooms, assembly halls, parliaments, and more than one room in the United Nations. 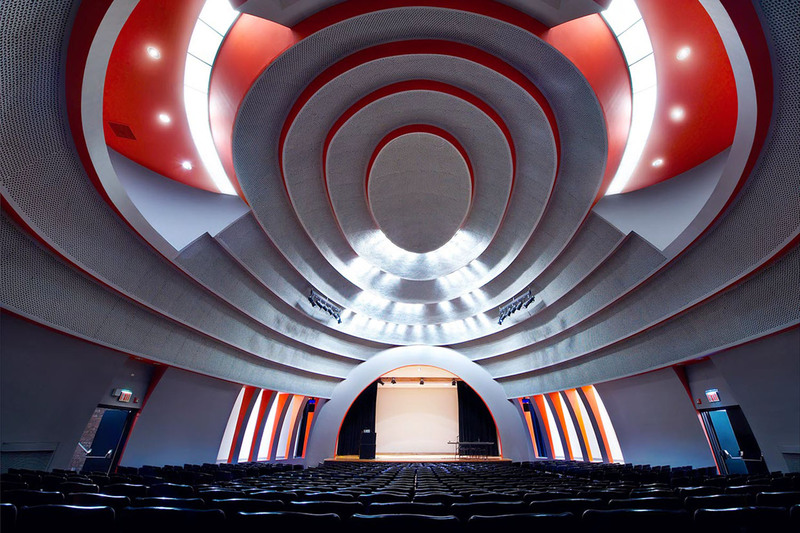 These are the cavernous spaces where history is shaped. The series began several years ago when Zanier visited the French Communist Party headquarters, in Paris, designed by modernist master Oscar Niemeyer. 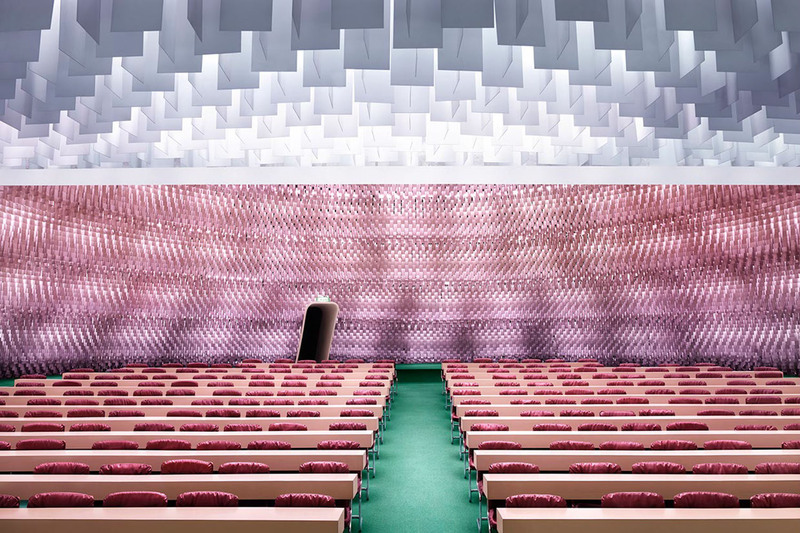 The room Zanier chose to shoot, with its strangely textured mauve walls, makes it feel a little bit like you’re a cellular-sized version of yourself trapped inside a human organ. 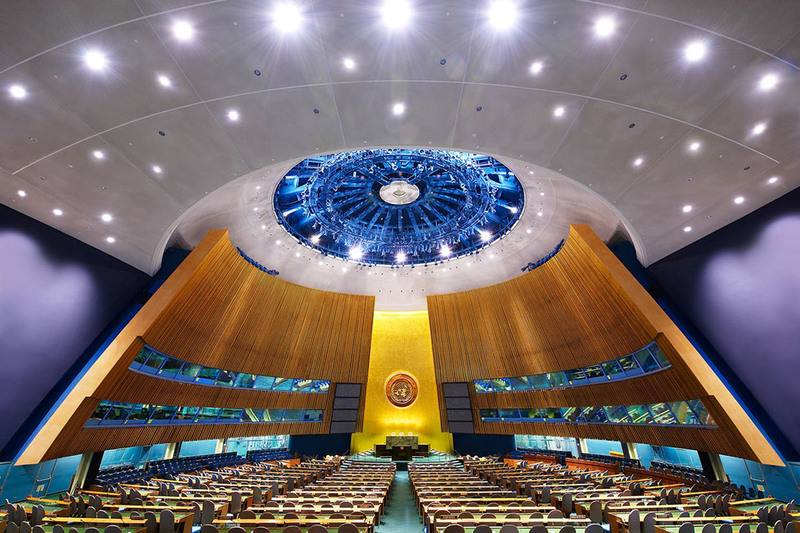 The UN Security Council room in New York is as colorful as a pack of Starburst, while the FIFA executive boardroom, in Zurich, is pretty much exactly the War Room from Dr. Strangelove, for whatever that’s worth. Each interior has its own unique character, but there’s clearly a shared language among them. It’s hard not to notice the startling symmetry, the simple geometries rendered at imposing scale.